Hey, readers. 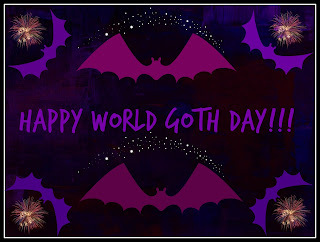 Hope you all had a good World Goth Day. I spent mine trying to rid myself of the remainder of a cold that I have been suffering from for the last couple of weeks. Now that I'm starting to feel a bit better, I wanted to offer up some cool music recommendations. Esoterik: A band from Oklahoma City driven by synth-pop and darkwave. As Angels Bleed: A gothic-symphonic metal band that hails from Sydney, Australia. 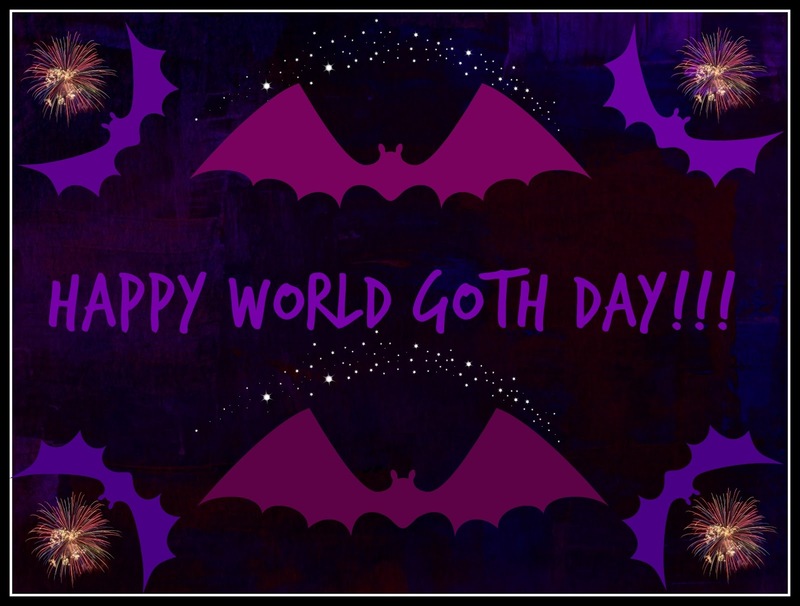 The band is heavily influenced by vampire images and themes. Jess-O-Lantern: A New York artist with an acoustic horrorpunk sound. Night Spirit: Also from New York, Night Spirit is a power metal band with a supernatural twist. Those are my recommendations. Hope you find something that you like out of the list. Now, back to trying to shake off my hacking cough. Til next time. Hey, readers. Since my niece has a birthday coming up this weekend, I decided to make her some jewelry. Yesterday, my mother went to Michael's and bought some charms. After I checked out the charms she got, I decided to make a necklace out of one of them and a charm bracelet with the rest. So today, I went to A.C. Moore to get some more jewelry essentials for the task. I ended up getting some chain in a gun metal finish, a pack of necklace cords and some pink beads. Pink is one of my niece's favorite colors. If I remember, I'll post some pics of the finished products on my instagram page. Since she's too young to have any social media accounts, I don't have to worry about her seeing them before her birthday. XD Til next time.